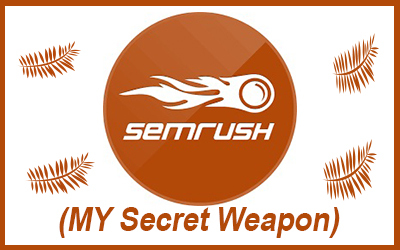 SEMRUSH (MY SECRET WEAPON): A TOOL TO DRIVE MASSIVE TRAFFIC. Have you been searching for a powerful SEO tool? Permit me to introduce to you my secret weapon to check competitors. Have you been searching for an SEO tool that will enable you do keyword research, check back links, track keywords, check competitor ranks and do a total SEO audit of your website or blog? If your answer is yes, permit me to introduce to you my secret weapon, a tool which I have been using for more than 2 years and it is trusted by many SEO agencies and professional bloggers. This tool is called SEMRUSH. When Google introduced the Panda and penguin, many sites got hit and bloggers had to totally alter their paradigm. I observed that it was a good idea to write contents which the search engines will permit instead of just writing what my readers would love. So I began to study more about link building and SEO. I succeeded in recovering my other websites bank to Google’s first page. While this was going on, I also learnt the benefits of directing my attention on quality of content to increase the SEO of my blog. I asked myself what I did wrong to warrant Google Panda to affect my site. I found the answer in my analytics board. It was because I did not take advantage of keyword research. Quickly, I learnt that it is not enough to have quality content, I also needed to get targeted keywords, build links, audit my site’s SEO etc. I used many tools such as Ahrefs, Moz, SEMRUSH and some others. Although they all worked well, SEMRUSH was better because it has lots of great features which permit bloggers to do all of their SEO work in one dashboard. I can get everything done in one dashboard. In a moment I will show you how. Before I tell you more about SEMRUSH, it is pertinent that I tell you that I learnt SEO on my own by trial and error and by paying attention to the recent updates in the SEO world. Let’s find out why I call SEMRUSH my secret weapon and why it is such an awesome tool for SEO and is loved by lots of users. 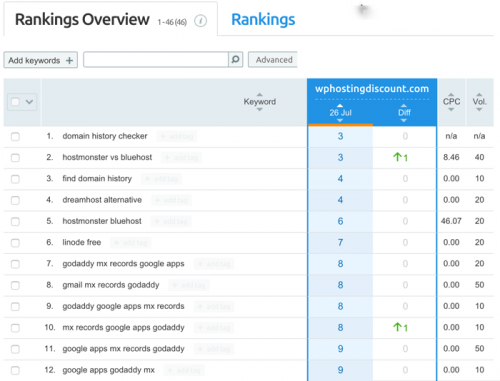 With SEMRUSH you can easily find out the keywords any site is ranking for, including those of your competitors. It really makes keyword search very easy. Once you are through with keyword search, you can include keywords and track their respective positions on all the major search engines according to geographical location. It is important to highlight the geographical feature of this SEO tool as it is required if you want to target particular countries such as USA, Australia, U.K, India, Spain etc. If you are a global blogger, this feature can be useful if you want to know how your site rank in the search engines of particular countries. SEMRUSH is a very important search engine marketing tool which every serious affiliate marketer, blogger or website owner should have in their SEO arsenal. SEMRUSH was developed by the developers of SEOQuake, a well known SEO addon for Firefox. over 120,000,000 keywords in their database. With SEMRUSH you can find all the keywords which any website on the World Wide Web is ranking for. You will also get more statistics concerning particular keywords and other related keywords which you can also rank for. Below is a screenshot which proves that SEMRUSH is a must-have for all bloggers, affiliate marketers and those who are serious about making a fortune on the internet and how to drive traffic to their website. I will show you an example with results from a particular domain. You can use this for any website. I highly encourage serious internet marketers to try this with their competitor’s website. Keyword: the keyword for particular ranked pages. CPC: The average cost per click for the keyword. Pos: the position of the keyword in the specified search engine. In this example, I selected the US database of Google (default). You can also change it to other search engines and locations. You can also use the Free Keyword Monitor to verify. CPC: The average cost per click for the specified keyword. Volume: The exact number of match queries for the specified keyword in the local search. Again, in this example, I used the US database of Google (I got this data by using the Google keyword planner tool which I verified the accuracy). URL: The URL receiving traffic from that keyword. Com: This column shows the competition of advertisers for the keyword. If the number is low, it means the competition is low, a higher number implies high competition for that keyword. No search engine marketing tool is complete without this feature. Results: The number of results from search engines. The lower the number, the better. Trend: This is an interesting column. To find profitable keywords for your site, you need to be sure that the traffic trend for any particular keyword you are interested in is not dying. This column displays the search trend over the last 12 months for that keyword. In addition to all the information which we received from the search, two (2) columns are the most interesting to me. It is in these columns you will see the top 200 organic keywords for that website or domain, also you will get a detailed back link report for any domain and the anchor text for the link as well. The most interesting factor for me here is the ability of SEMRUSH to reveal the top keywords driving traffic to any website. For a serious internet marketer or website owner, a knowledge of the keywords of a top competitor is valuable and golden. Why should you use SEMRUSH right away? Bloggers like us work day and night to write posts with the hope to increase traffic to our blogs. But we sometimes neglect to find out how we are getting the traffic. If you examine your blog’s analytics, you will understand that only a few of your blog posts are producing all the traffic coming to your blog. When you use SEMRUSH, you will know the keywords which are driving the most traffic to your competitor’s website and you can write quality blog content with those keywords. This will enable you position your blog better for those keywords in your niche. If you want to give SEMRUSH a trial to see how wonderful it works, they offer a FREE trial for 14 days. You will get the best of SEMRUSH with the PRO account (it gives you a complete report). As a beginner who is new to SEO and keyword research, you can begin with the free trial. 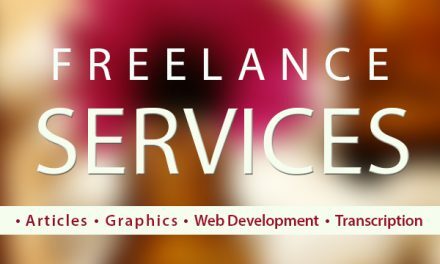 As soon as you get accustomed to its numerous useful features, you can upgrade to the PRO account which gives you a detailed and complete analysis of your website and that of your competitors. It is my hope that this review has helped you understand the benefit of this amazing search engine marketing tool. 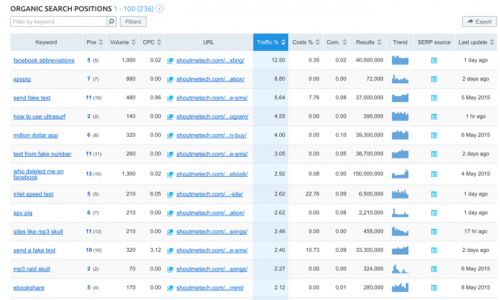 SEMRUSH is beneficial for analysis and research which will put you at the top. NextWPForms: A very useful WordPress Form Plugin? 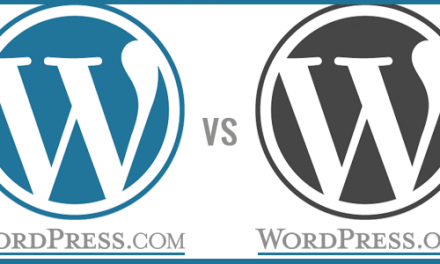 WordPress.com Vs. WordPress.org: What Blog Platform Should I Use?